To speed up the Check-In process, Print, Complete and Sign this form at home and bring it with you to the field. Any players under the age of 18 must have this form signed by your Parent or Legal Guardian. 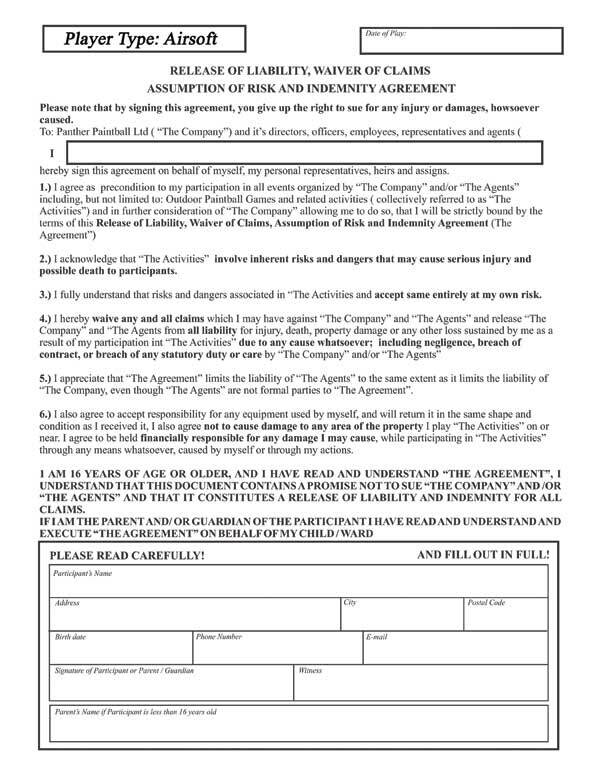 You may also fill out this Waiver Form in person at the field if you forget to bring a printed copy. Individuals without a completed Waiver Form will not be allowed to play at Panther.